In a crowded field of wrist-worn devices, a compelling offer is much more than a well-designed device. The best products also include the smarts to deliver changed behavior. Last week, responding to complaints about skin irritation from some users, Fitbit announced that it will stop sales of the Force, its health-tracking wristband. Since only 1.7 percent of Force users experienced any irritation, industry watchers are speculating that the recall has more to do with the design and functionality of the product (and the impending launch of Fitbit’s next generation wearable) than aversion to negative impact on public opinion. Fitbit’s woes emphasize the many challenges facing companies designing wearables and their complementary services. 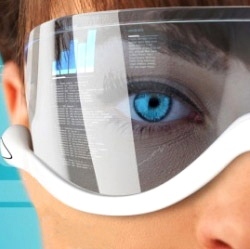 The 2014 CES show firmly established wearables as one of this year’s hottest digital trends. At least ten new wearable devices were introduced from makers such as Sony, Pebble, Meta, LG, Garmin, Razer, and more. While the functionality of devices may drive initial sales, to create long-term value have to be used long-term and drive healthy behavior change in users. Sustained engagement is emerging as the key challenge for companies developing wearable devices and complementary services. What these companies may not be aware of is the importance of habit formation, social motivation, and goal reinforcement. These three factors, drawn from behavioral science, contain the secrets to successful wearable products and related services that get used and deliver real value.